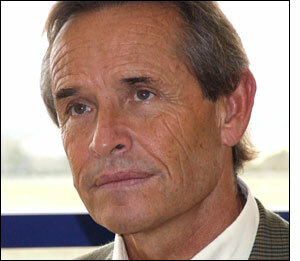 Jacky Ickx, six times a Le Mans winner, was at Le Mans yesterday (October 26) – writes Claude Foubert. During a party in the ACO building, he gave the Musée de l'Automobile a marble 'top' which had been given to him by Maurice Génissel, former owner of the famous "Restaurant des Hunaudières", and he paid tribute to this fine man, who joined the event yesterday. 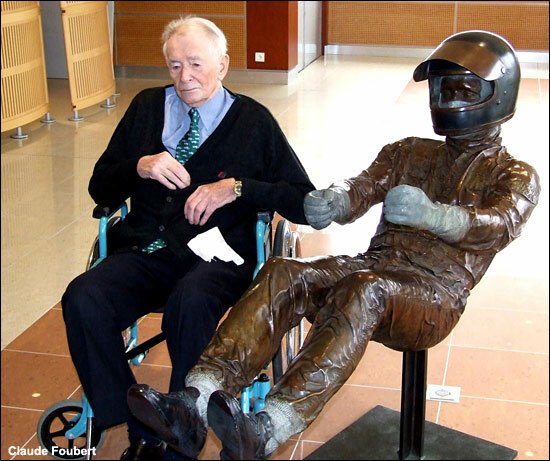 Maurice Génissel, 89 years old, has seen all the Le Mans 24 Hours races except for one! When Maurice Génissel retired, he thought that Jacky Ickx was the right man to have this souvenir. Ickx had it for 15 years and the Belgian driver thinks now, in agreement with Mr Génissel, that the right place for this item is in the Musée de l'Automobile, at Le Mans, because it is part of the Le Mans legend. Ickx remembers that during the race he could see people dining on the terrace of the restaurant! 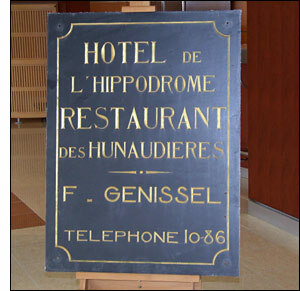 Many drivers or team crew went to this restaurant, especially on Saturday night during the race period, for its warm atmosphere created by M. Génissel. Jacky Ickx also presented something to the ACO: a bronze statue, picturing him in 1967 in a Lotus race suit when he was driving in Formula 1 (and in Lotus Cortinas). He thinks that this statue, plaster cast by the Belgian Strebeller and designed by the French sculptor Romain Barelier, has its right place in the Musée. 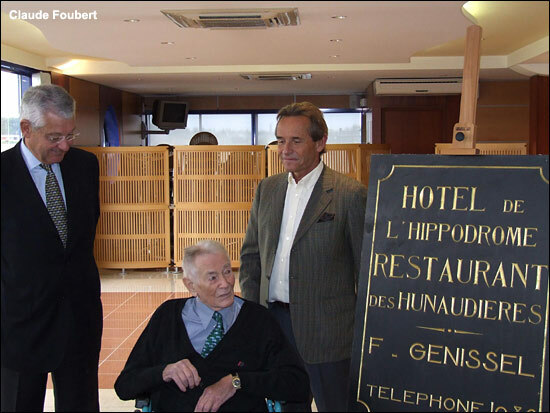 ACO President M. Plassart is pictured with Jacky Ickx and the admirable Maurice Génissel.